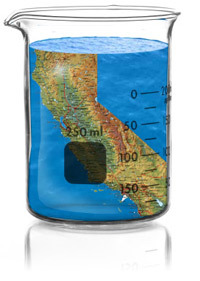 Alpha Analytical Laboratories, Inc. is a premier California (ELAP certifications #1551, #2303, #2728 & #2922) analytical laboratory network, specializing in regulatory compliance analyses of waters, sediments and solids since 1975. Our team is committed to providing consistently reliable data, personal service, and analytical support to the California environmental sector. Our clients range from local homeowners to the Environmental Protection Agency (EPA). We specialize in the analysis of potential contaminants in drinking water, bottled water, wastewater, recycled water, ground water, storm water, and the characterization of aqueous and solid matrices for hazardous waste determination. We offer a vast library of certified testing methodology that involves the analytical expertise of our Microbiology, Wet Chemistry, Inorganics, Organics, and Fish Bioassay divisions. We currently have five California locations encompassing over 22,000 square feet of processing space. Our stringent Quality Assurance/Quality Control and Employee Ethics programs underpin our operation, ensuring ongoing accuracy for our client's regulatory and non-regulatory monitoring requirements. Our management and client services' team members welcome any and all inquiries related to our business, as well as to yours. Please don't hesitate to contact our team at anytime.